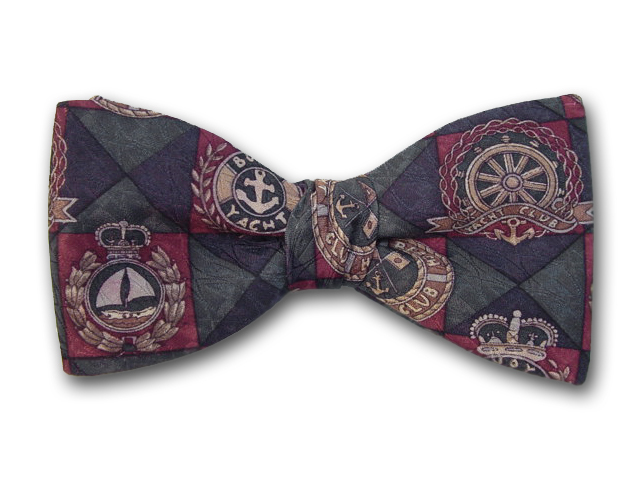 Home > Bow Ties > Theme Bow Ties > Bow Tie "Yacht Club"
Pre-tied bow ties available in standard width. Pure silk jacquard. Dark green, burgundy, and beige.